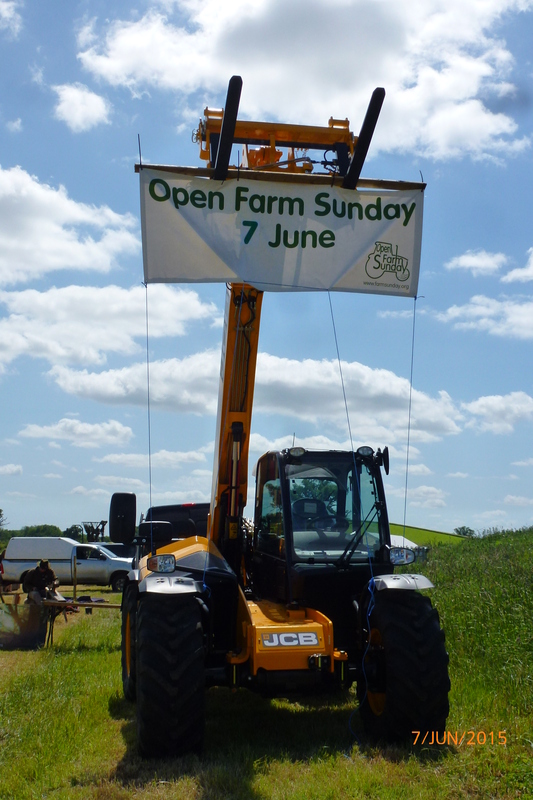 Open Farm Sunday yesterday was one of our busiest days so far this year, but also luckily one of the sunniest ! About 1000 visitors enjoyed masses of activities & attractions in the courtyard & on the field in front of the shop. 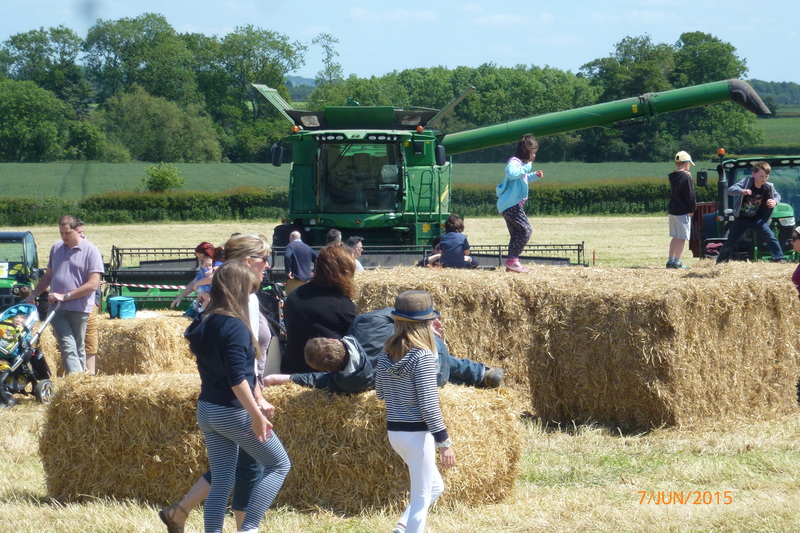 The bale tunnel, our enormous combine harvester & the tractor & trailer rides were the most popular, as was the barbecue & Churchfield icecreams. 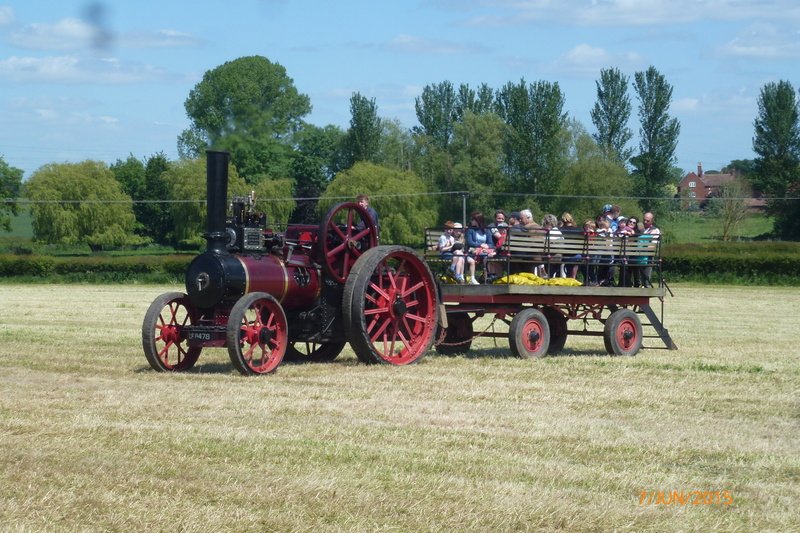 As in previous years, the fabulous vintage & modern farm machinery display was very impressive & interesting, with our Farm Manager Adrian Joynt on hand to chat to visitors all day. 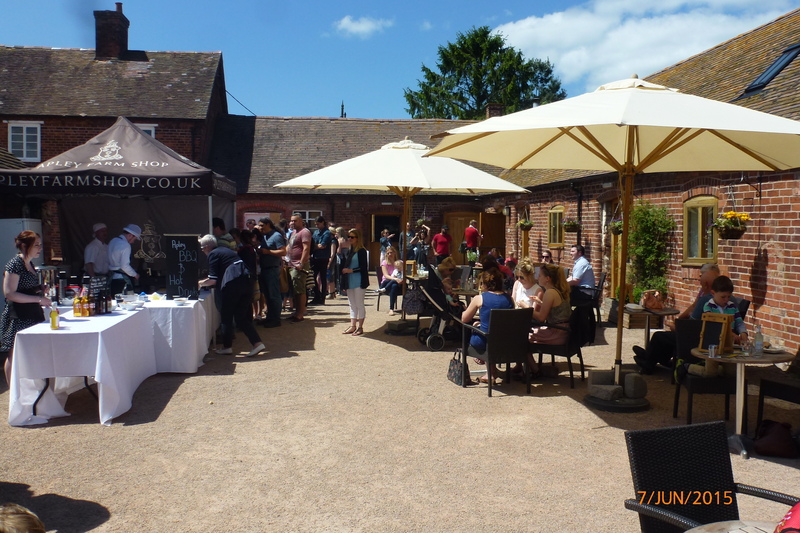 We had demonstrations all day by Neill Mapes, our local woodland artist, one of the Apley Estate gamekeepers, deer management by Jason, butter making demonstrations & in the Farm Shop, sausage making demonstrations on our butchery counter. Newly arrived tenants on the Apley Estate, Hop & Stagger Brewery, sold their beers & chatted to customers about the hops & barley they use. Mike’s Homemade & Heather’s Harvest offered free jam tasters. We had stands from Shropshire’s NFU, educational display boards, Apley Cookery Club & even our butcher’s son Tom busking with his guitar. Local nature expert Bob Thomas was on hand to lead walks on the Skylark Nature Trail. Six Bridgnorth Young Farmers very kindly helped with parking, games & bean planting. Other activities included scarecrow making, hobby horse racing & cake decorating. The farming story now continues as usual: Outside the Farm Shop, we have gro bags of crops which visitors can watch as they grow over the seasons, until ready for harvest. Make a note in your diary now for 2016’s date ! Sun 5 June (always the first Sunday in June). Our next event is Classic Car Sunday, also free, on Sunday 19 July, 10-4pm.